Tim Greenwood & Associates have over 45 years combined experience providing clients throughout Crawley and the surrounding area with a variety of property related services. Tim Greenwood & Associates combine a passion for buildings whilst offering extensive experience in order to give our clients the very best service. Our team of experienced chartered surveyors specialise in commercial buildings offering a wide range of services and we work for both landlords and tenants offering advice on their dilapidation issues always ensuring we deliver a service that provides client satisfaction. In addition to our specialist dilapidations service, we also provide Development Project Monitoring, Commercial Building Surveys, Compliance Surveys and more. With a focus on detail we analyse the property and have reputation for comprehensive reports, we take pride in completing each project to the highest possible standard. Our purpose is to provide our clients with all the information they need to make an informed decision whatever their position, whether it be purchasing a building, disposing of a lease or managing the repairs of a building. A Schedule of Dilapidations is a document which sets out a tenants lease liabilities in relation to the physical state of their property. The Schedule will include details of elements that have fallen into disrepair as well as reinstatement cost assessment and redecoration requirements, along with their costs. 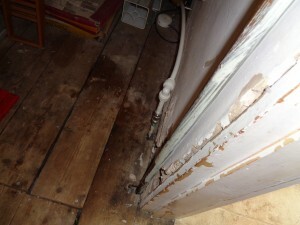 It is in the landlord’s interest to ensure the tenants are maintaining the property in line with their lease covenants and whilst typically Schedules of Dilapidation are served on tenants at their lease end, interim schedules can be served during the lease term if the property is suffering or if the tenant is failing to maintain it adequately. Landlords are interested in maintaining a property in the long term and will always want a property returned by an outgoing tenant in the best condition the lease provisions allow. An outgoing tenant will always want to vacate a property without incurring significant dilapidations costs. Schedules of Dilapidations prepared well in advance of the lease end allow both parties to enter into early negotiations to settle claims, and allow the tenant to do any works to the property if they wish to. Once the lease has expired a financial settlement has to be agreed and this can sometimes be a protracted and expensive exercise and which may end up being settled in a costly court case. 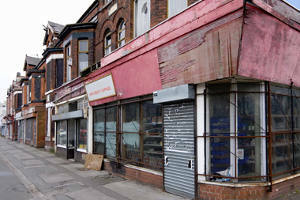 There are legal implications in the manner in which a Schedule of Dilapidations should be approached. Any dilapidations claim made against a tenant, where the reinstatement of any alterations are required, must be served in good time before the lease end. Failure to serve it prior to the lease end could negate that element of the claim. In addition, there are dilapidation protocols which set out timescales in which each party should respond. Failure to respond in line with protocols are viewed poorly if the claim goes to court, which could lead to a less favourable outcome in the allocation of costs. As experienced Surveyors dealing with all sizes of claims, we can advise you of your duties and rights. When reaching the end of a lease, whether you are a landlord or a tenant, it is essential to understand the potential dilapidation implications. Whilst the landlord should prepare a Schedule of Dilapidations to serve on the tenant, tenants should not necessarily wait for this to arrive. Tenants often do not fully appreciate the extent of the cost of their liabilities until they receive the landlord’s Schedule of Dilapidations leaving them unprepared for the financial implications of that claim. In addition if claims are served late by the landlord, offering the tenant no option to carry out the works and having to agree a financial settlement, the impact for some tenants can be significant. As professionals we recommend tenants take a more proactive approach towards the end of their lease and seek early dilapidation advice. The advice can assist the tenant in planning their exit strategy allowing them to make financial and practical provisions to cover their liabilities. This can save the tenant significant cost and enable them to retain some control over the process. Whatever your property requirements in the Crawley area, including if you are a landlord or tenant in need of dilapidations advice, Tim Greenwood & Associates provides expert advice and assistance. Get in touch with us today to find out more. You can give us a call on 01737 829070 and speak to one of our chartered surveyors directly, or fill in the form to the right and we will get back to you as soon as possible. Focusing on detail in conjunction with outstanding client service, Tim Greenwood & Associates can provide expert assistance, in a wide range of building surveying services and dilapidation schedules in Crawley.